Do I Need One of Those in Every Room? 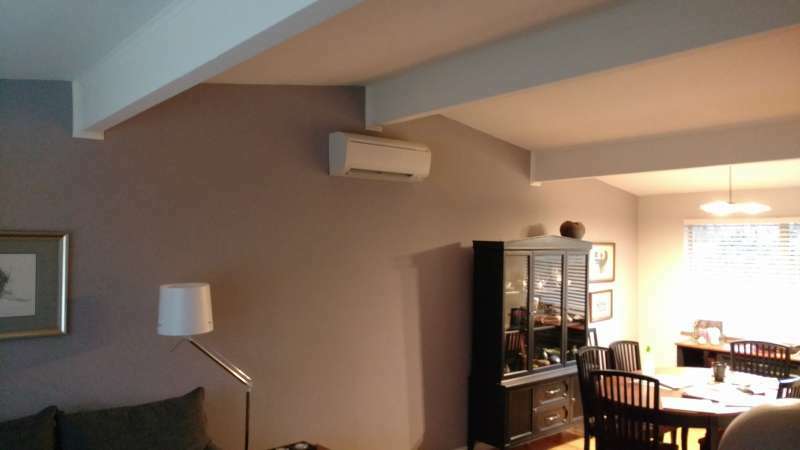 It is a common misconception about Ductless Heat Pumps that you need an air handler, or "head" in every room, but this is almost never the case. A single head system, if properly sized, can heat and cool up to 1500 square feet or even more depending upon your home’s building envelope and air flow. If your home has an open floor plan and you tend to leave doors open, this provides for more even temperature control, but even older homes with more separated rooms can be very comfortable with a Ductless Heat Pump System. It is really all about and . If your home is poorly insulated and losing a lot of heat already, any system will work hard to keep up and you are likely to encounter hot or cold spots. But if your home has been sufficiently weatherized and has adequate air flow, a single head Ductless System can easily keep an average sized home of 1300 square feet nice and comfortable in both the winter and summer months. This works because of the . Unlike a typical furnacethat comes on when the temperature drops below a certain level and cuts off when the temperature rises to that set level, a Ductless Heat Pump is designed to run continuously. This does not mean it is always in heating mode or cooling mode, (blowing out hot of cold air and all your money along with it), but instead it means the fan is always operating, circulating and filtering the air throughout your home, moving that air throughout the home, not just in the room in which it is operating. We liken it to a warm home on a winter’s day. If it is 40 degrees outside and you open the front door and keep it open, eventually your whole house will equalize in temperature to the outside, that 40 degrees. The circulating air from the Ductless Heat Pump is like that open door. Yes, there are applications in which more than one indoor air exchanger is needed, and we can certainly help you make that call. But there are also likely plenty of folks willing to sell you multiple heads for your home. The more they can sell, the more money they can make from you. But knowing the truth about these systems and how they are designed to work can help you to understand how to properly size your new Ductless System to your home and ensure you are not over-sizing your new system or paying for more than you need.